Here's one silver lining on an otherwise disappointing night: When taken together, the results from New Jersey and New York City can be read as a repudiation of the rich man’s politics practiced by Jon Corzine and Michael Bloomberg--both of whom used personal fortunes to launch themselves into the political arena, and both of whom were trying to buy an election for the third time in the past decade. I will admit that I was holding my nose and hoping that Corzine would win tonight, just as I have held my nose and hoped for him to win past general elections. But, as a New Jersey native, I never liked him. There was always something vaguely repulsive about the way he showed up on the political scene in 2000 to purchase a Senate seat. His only opponent in the primary that year was Jim Florio, the wildly unpopular former governor who had sparked a popular backlash after raising taxes in the early 1990s. Florio was trying for a political comeback, and I think the dominant reaction to Corzine among New Jersey liberals at the time was a mixture of both revulsion and relief--revulsion because Corzine was an unknown proposing to buy an election, and relief because an unknown buying an election sounded like a much safer path to Democratic victory than nominating Jim Florio. Corzine ended up buying two elections: the 2000 Senate race and the 2005 gubernatorial election. He tried to buy this year's race as well, spending $24 million--the vast majority of it his own money--to his opponent's $9 million. Arguably, one of the messages sent by New Jersey voters tonight was that a politician only gets to buy so many elections before he has to rise or fall on his actual performance. In the abstract, that's a pretty good message--even though the result, a hard-right Republican governing New Jersey for the next four years, is obviously a bad one. As for Bloomberg: Yes, he won tonight, but when you consider his victory in context, it was shockingly narrow. His last win, in 2005, was by 20 points. This time, he spent at least $85 million of his own money against a candidate no one knew anything about. Yet he only won by five points. A five-point victory in a race that was supposed to be a walkover is nothing to brag about. In fact, I think it's fair to see the margin as a quasi-repudiation of the haughty way Bloomberg has behaved over the past year or so: as a rich man to whom the rules--in this case, term limits--didn't apply. 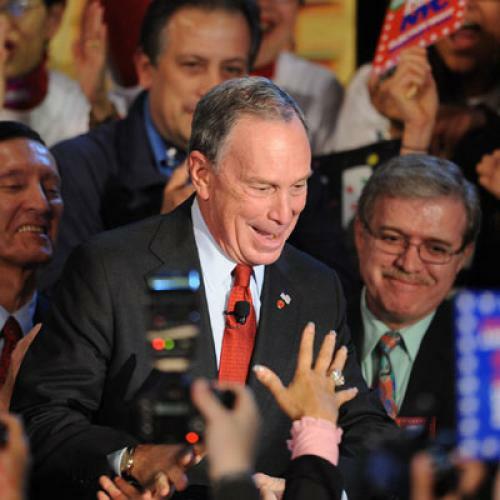 (The influence of Bloomberg's wealth on the term limits debate became apparent last year with the revelation that groups he supported philanthropically had been asked to lobby the city council to let him run again.) Bloomberg hasn't been a bad mayor, and in some policy respects--education, for one--New York is better off with him in office than it would have been with his Democratic challenger. But the notion that no one, no matter how rich, ought to be able to rewrite the rules of an election is still an idea worth standing up for. Bloomberg's surprisingly slim margin of victory is a small blow for that principle. Pundits have made much of the fact that the country is in a populist mood these days. The populism they are referring to is generally understood to be more right than left. But if an upshot of this mood is declining tolerance for the practice of people buying political office with their own money, then that's one (minor) thing for liberals to celebrate on an otherwise lousy night.